Keep your dog's leashes in one organized place with our Hand Painted Bone Leash Holder! 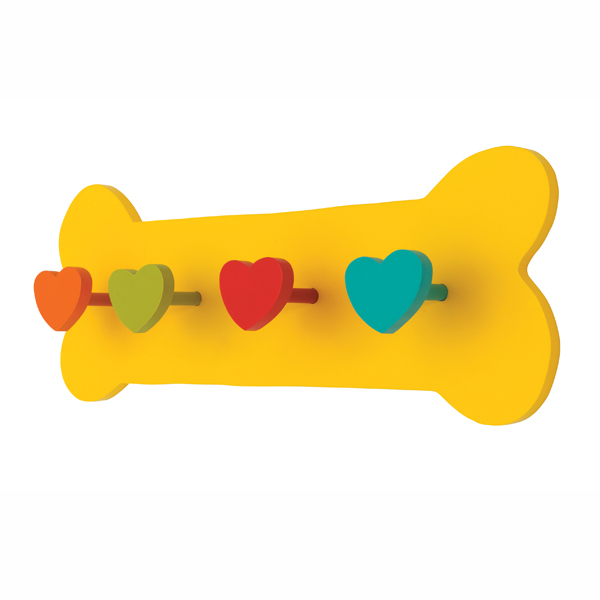 Our Yellow Hand-Painted Leash Holder from Up Country isn't just cute, it's a helpful way to know where your dog's leashes are every time. No more running around trying to find the leash while you are trying to leave the house! 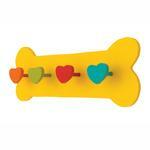 Made of solid wood, painted and finished with non-toxic and lead-free paints. Makes a great addition to any home! Nails (not included) easily fit into carved-out hanger spaces in wood (on the back). Posted On 11/16/14 by Sofia T from Champaign, IL Yes, Sofia T recommends this product! BaxterBoo seems to have everything I am looking for - usually at a variety of prices. Great dealing with them.